I'm trying to save time rather than adding each video one by one to a playlist. YouTube doesn't have a feature to dump multiple URLs to convert to a playlist. Is there any script, or program I could use to achieve this task?. I tried using a script beforehand, but turns out it's limited to 50 videos on an unlisted playlist. 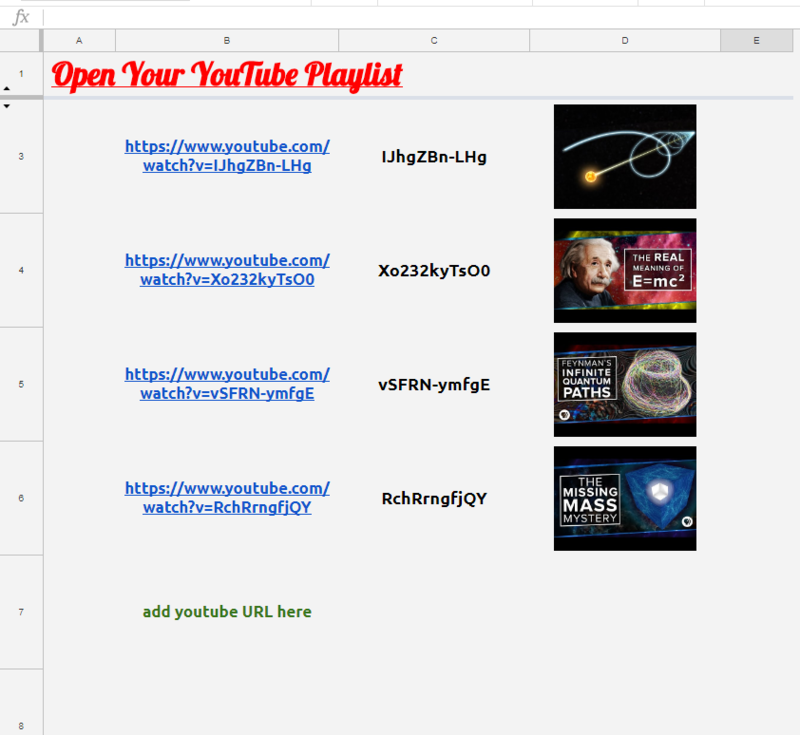 Just add YouTube links in any desired order and press that red text in cell B1 to play it. YouTube feed for a show? How to create a YouTube playlist from a list of links? Any way to see all my YouTube likes when 5,000+ videos?